I have been asked for a solution that can send an email when a customer is changed. I have a few objects created and a codeunit that is executed by the Job Queue or manually from a page or a form. First the Change Log needed to be activated. 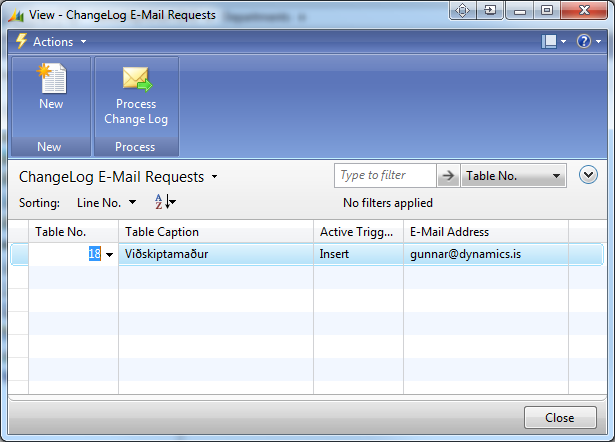 Then after installing the attached object and adding page or from 77170 to the menu suite I can setup an email address for each table and each trigger. I am building a web service for one of my clients and another company is using this web service for an aspx web site. I realized that I needed to test my web service before I can deliver it to that company. So, I created a test codeunit for the job. First I downloaded the universal XML import/export tool from Mibuso. Then I added a function to the table 60000 XML Buffer that is in the above tool. Next I create a read function in my test codeunit for every function in the web service. Here is an example. Just created a chart for a customer and added it to the customized role center. 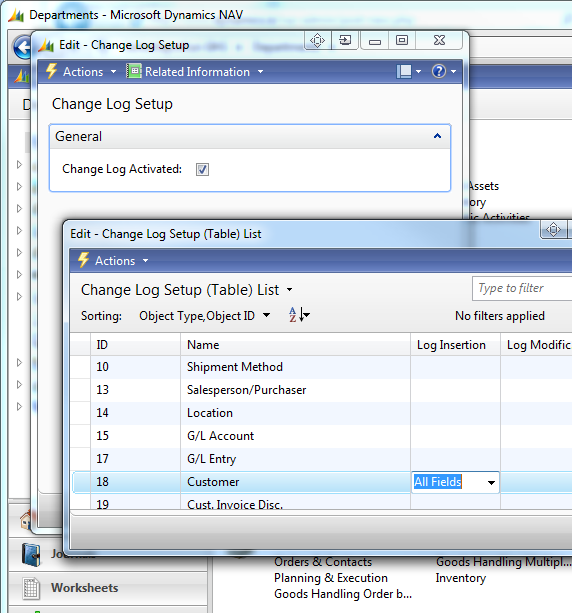 The customer got a permission error when opening the client as there is no permission to read the table Chart no. 2000000078. Added read permission to that table to the user role and the client started. The next error was that the data visualization control was missing on the client machine. A quick search pointed me to this download link. After installing and restarting the client everything is working as it should be. There are a few calculation methods available in for a flowfield. 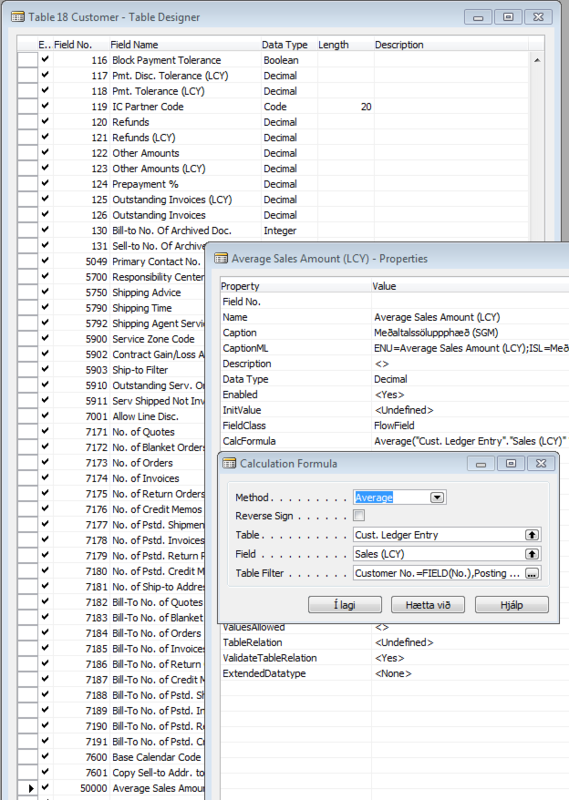 This is a great feature in NAV to aggregate amounts from ledger entries. I would like Microsoft to add an option to the flowfield declaration. I would like to be able to omit zeros when using methods; Average, Exist, Count, Max and Min. In a normal SQL it is possible to use NULL to archive this result but not in NAV. The solution that I am using now is to create a boolean field for each of the amount fields that indicate if the amount is zero. Then I have to add that boolean field to the sum-index enabled key and filter on that field. Microsoft, please add this option to your upcoming releases of Dynamics NAV. You can vote for this here.